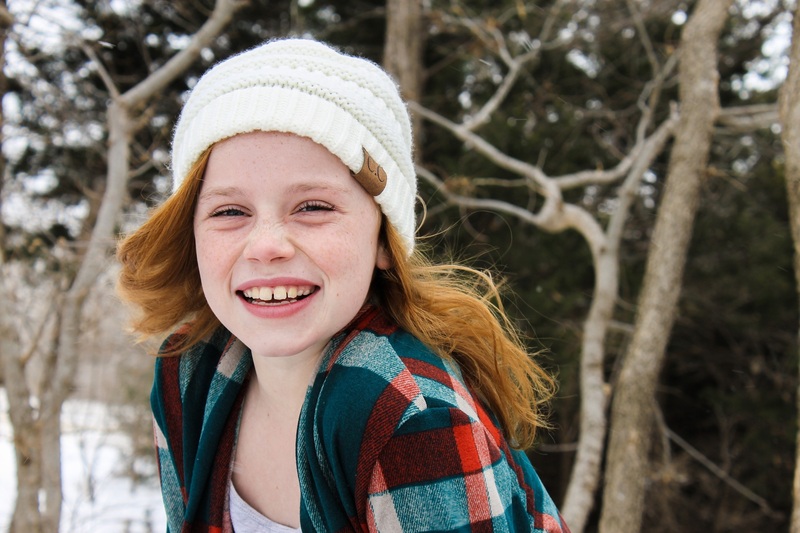 The Radial Filter: Make Your Winter Portraits Shine in 3 Easy Steps! There’s no reason to abandon portrait photography in winter. Even though the weak winter light can cause dull or faded colors in your portraits, you can fix this in an instant with Zoner Photo Studio X. Just use the Radial Filter! Learn how to use the Radial Filter yourself—download this photo (click the green button below) and go through the steps with us. This will make your portrait’s subject stand out more. Visit the Develop module, and then click the Radial Filter icon in the right-side panel. An oval (see the picture above) will appear on the photo. Make sure to adjust the oval—the face and hair should be “inside” it. Check the Invert Mask box so that this filter affects the area outside the oval—the background. Reduce the contrast, clarity, sharpness, and saturation, so that the background is less distinct than your subject. You’ll need to create a second filter. But that’s easy! Just click Add Filter. Next, uncheck “Invert Mask.” Now all your changes here will affect the oval. Reset all filter settings before you go on (double-click each setting). Here, the goal of this step is to make the girl in our picture beam out at us. To do that, add color, contrast, and sharpness. Draw the Shadows slider downwards, though, so that the face won’t lose details. The high Exposure value in the previous step made the girl’s skin too bright, so we’ve decided to change its brightness by adding another filter on the girl’s face (we didn’t want to edit anything else in the photo). To enhance the shape of her face, we’ve heightened the clarity and sharpness. And to make her skin color more natural, we’ve lowered the Exposure value. And we’re done! Now the girl is truly the star of the picture. The Radial Filter made her stand out and gave the photo more depth than before. Now that you know how to beautify portraits, you can try out this feature on your own photos!